Net Weight 24.5 lbs. / 11.14kg. Shipping Weight 28.1 lbs. / 12.75kg. 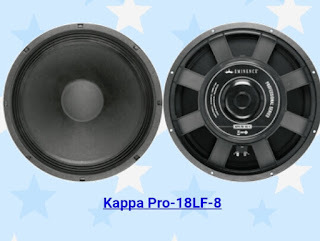 0 Response to "Komponen speaker eminance 18inch KAPPA PRO-18LF-8"